The American Veterinary Medical Association and the American Animal Hospital Association are establishing the Partnership for Preventive Pet Healthcare, a campaign to raise the importance of regular veterinary exams within both the profession and the pet-owning public. This initiative was announced at the American Veterinary Medical Association convention in St. Louis in July. It is supported by both the American Association of Veterinary Medical Colleges and an initial 13 industry sponsors. One of the initiative’s goals is providing guidance and ensuring veterinary visits lead to early disease protection and prevention. One of the core components to the initiative is at least yearly wellness exams for dogs and cats. “It is important that we recognize that, as a profession, we have to be better at educating pet owners regarding the importance of preventive care and of the unique role that veterinarians play in enhancing the relationship between pet owners and their best friends,” said Michael Moyer, VMD, president of AAHA. Declining visits that began before the economic downturn and an increase in preventable health conditions in dogs and cats are two of the main reasons for this campaign. The partnership is intended as a multiyear partnership designed to promote, engage and support the veterinary profession and drive pet owners’ awareness of the value of preventive veterinary health care. Other plan goals include providing veterinarians with tools to communicate the value of preventive care to pet owners. Educational and awareness initiatives directed toward pet owners are anticipated to launch in 2012. 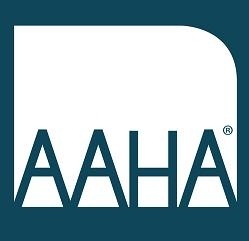 Learn more by visiting the American Veterinary Medical Association at http://www.avma.org/ and the American Animal Hospital Association at http://www.aahanet.org/.